Yesterday, Nike Philippines announced that 2-time NBA Champion Kevin Durant was dropping by Manila this coming Sunday. 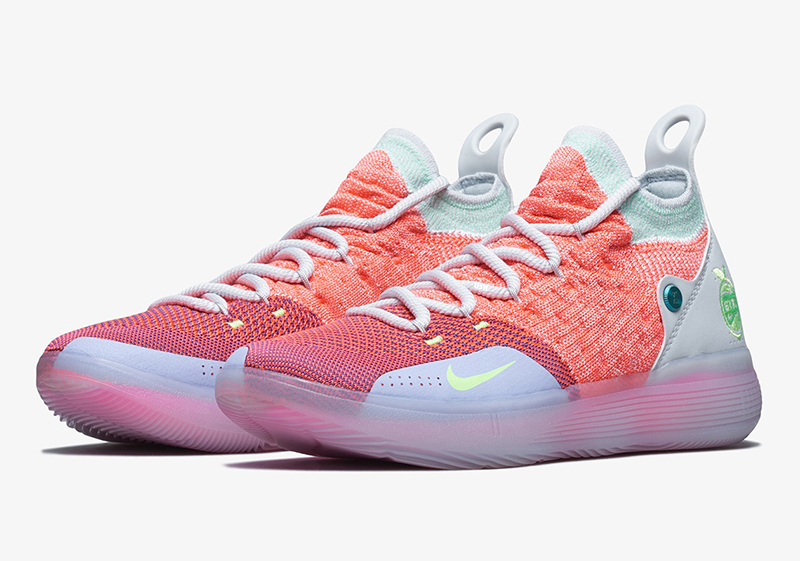 In time for this weekend’s visit, Nike Basketball is set to release the KD 11 “Peach Jam”. 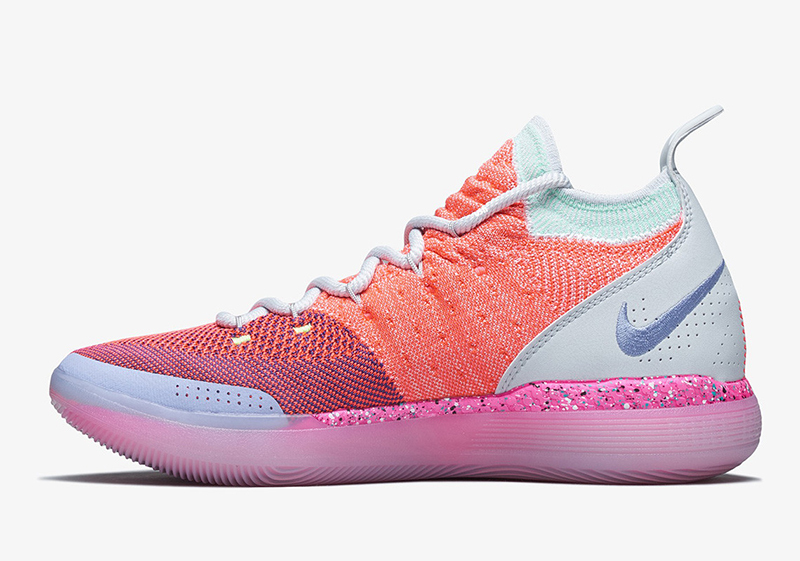 Every Summer, Nike releases a collection dedicated to the EYBL, a program dedicated to developing young athletes through clinics, honest evaluation, and exposure. 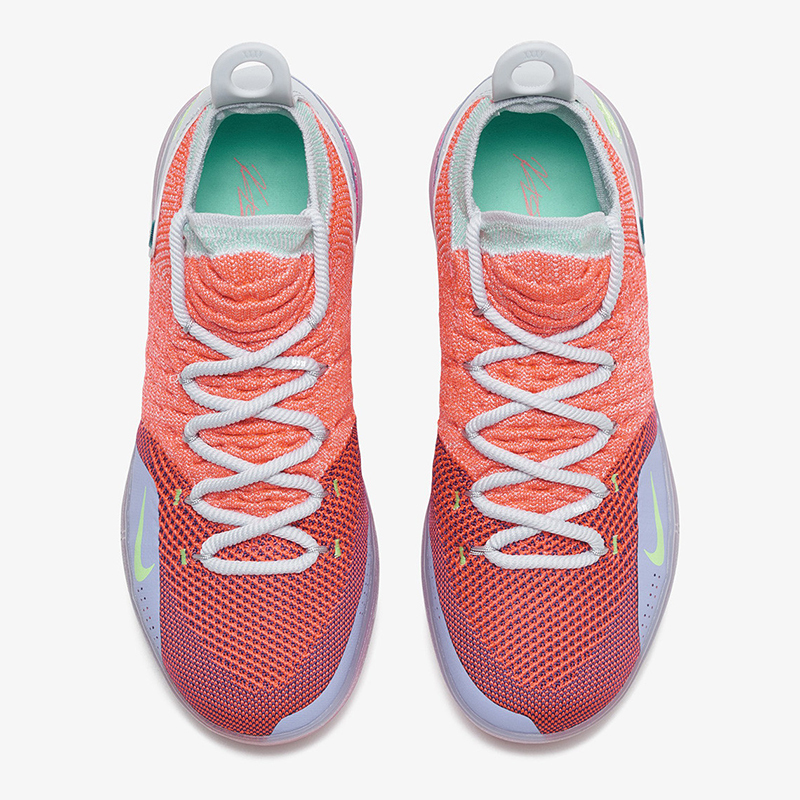 The most striking thing about the shoe is its bright colored upper. A Hot Punch Flyknit upper is accented by Lime hits across the logos, while Pure Platinum balances out the entire piece. 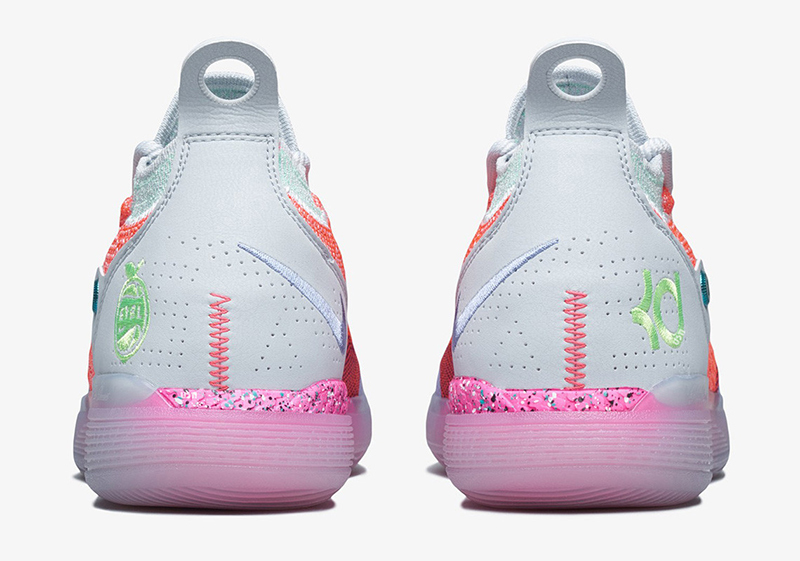 The EYBL’s logo is found on the left heel, while KD’s logo is on the right. 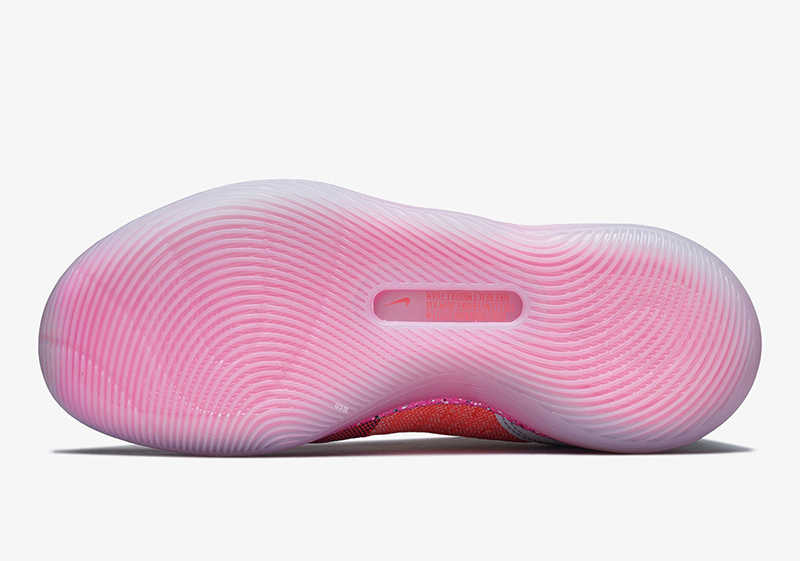 A bright speckled pink React foam is on blast via the translucent cup sole unit. 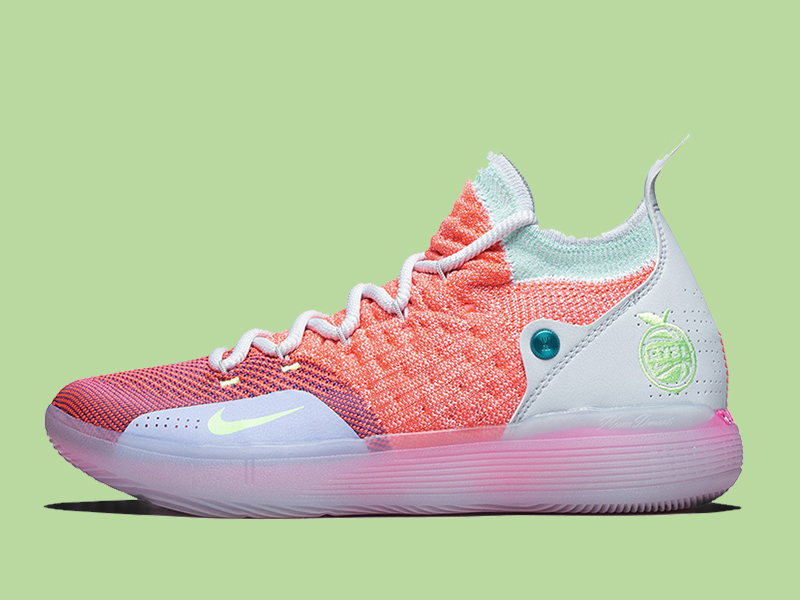 The Nike KD 11 “Peach Jam” drops this Saturday at Titan for Php 7,645. 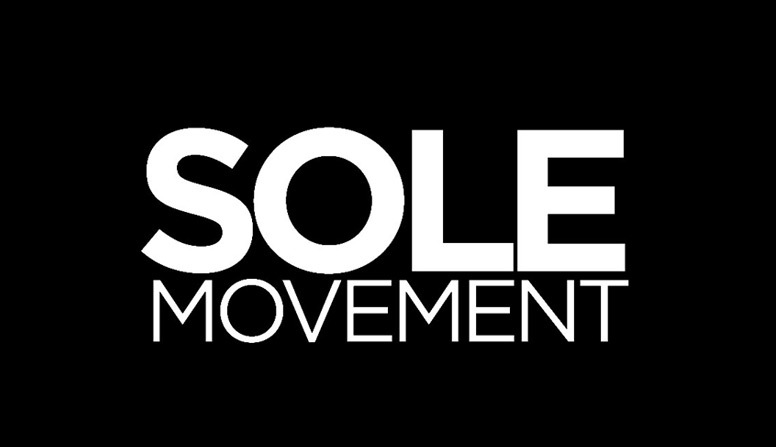 The shoe will be available via their RSVP program TODAY, July 2, beginning 3pm. A raffle will be held for all successful RSVP entries for a chance to meet and greet Durant this weekend.